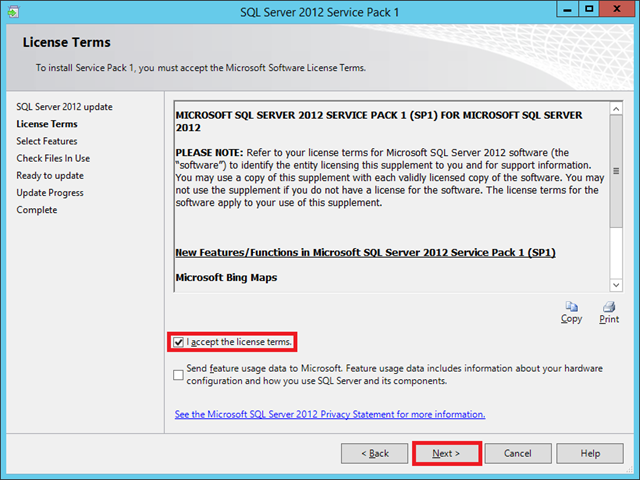 * You have to accept these licenses because SQL Server Express and SQL Server Agent is for Secondary Sites, Silverlight for the Client Agent. 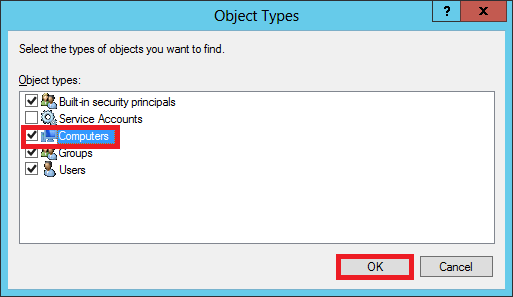 ** The warning which was generated depends on the Memory available in my test environment. 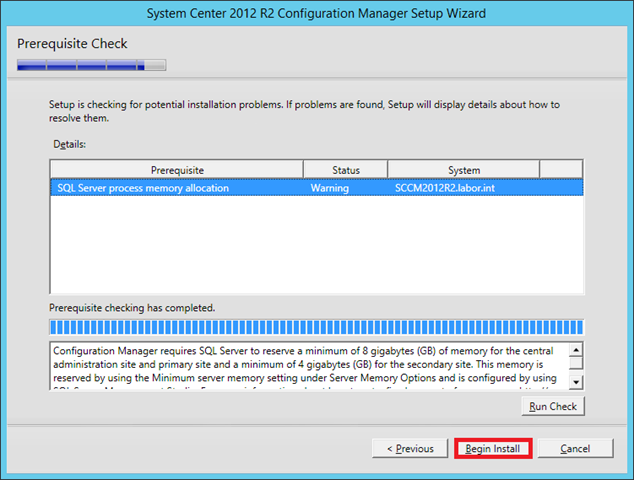 I have just 8 GB over all, but SCCM want to have 8 GB just for the SQL. 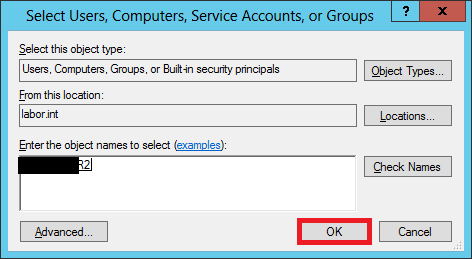 So ignore it. 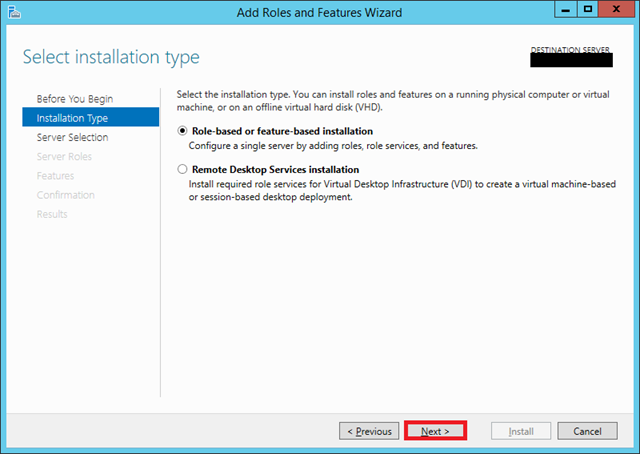 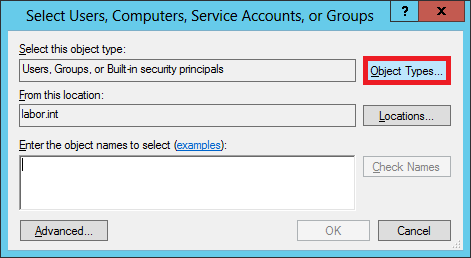 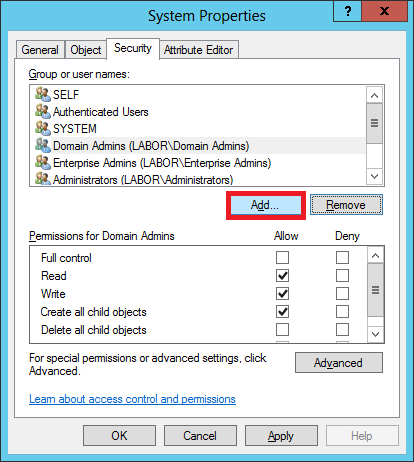 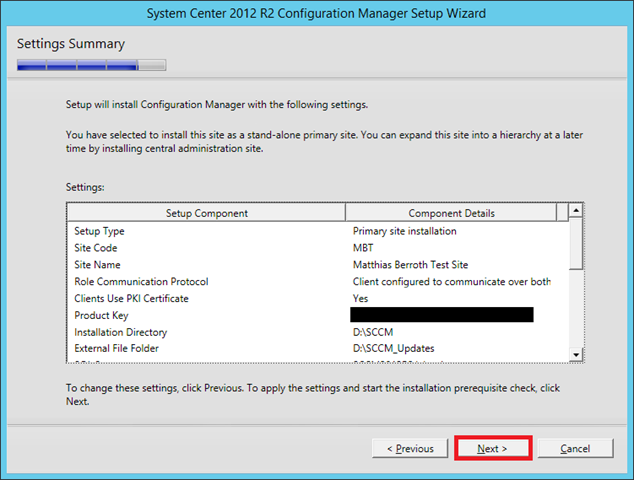 Now you have a well installed configuration manager environment. 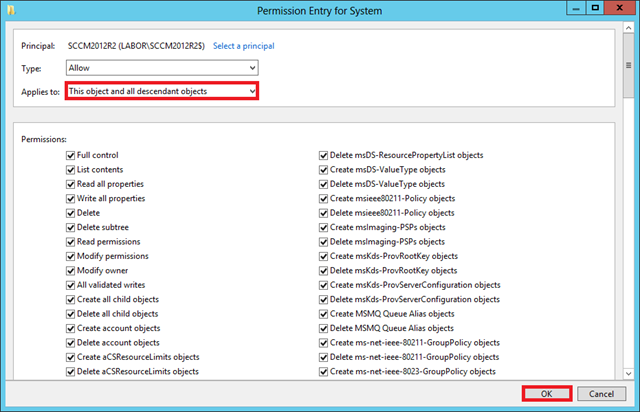 This entry was posted in Uncategorized on October 31, 2013 by matthiasberroth. 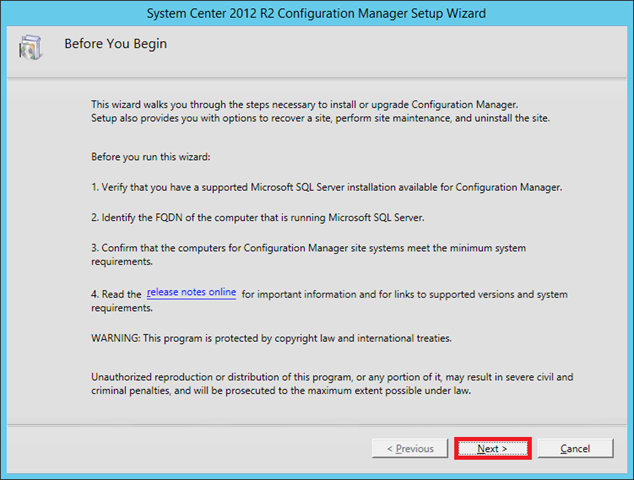 This entry was posted in Uncategorized on October 30, 2013 by matthiasberroth. 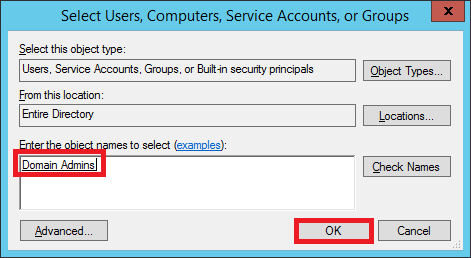 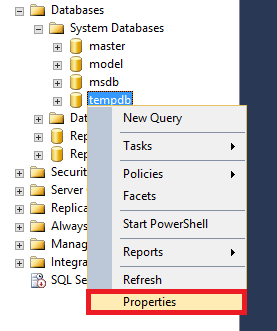 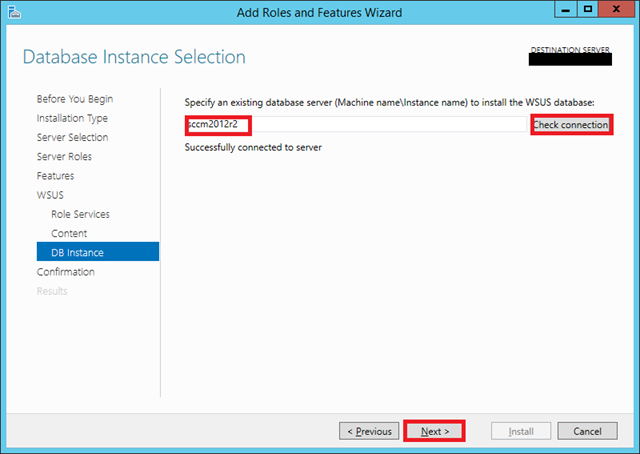 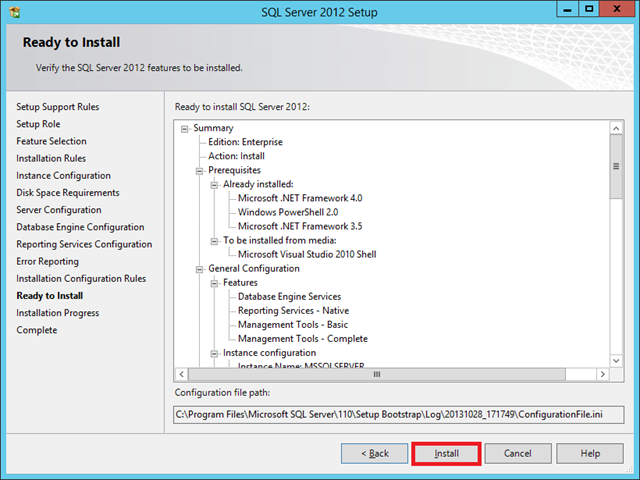 The Post-Installation Tasks creates the database on the SQL and configures. 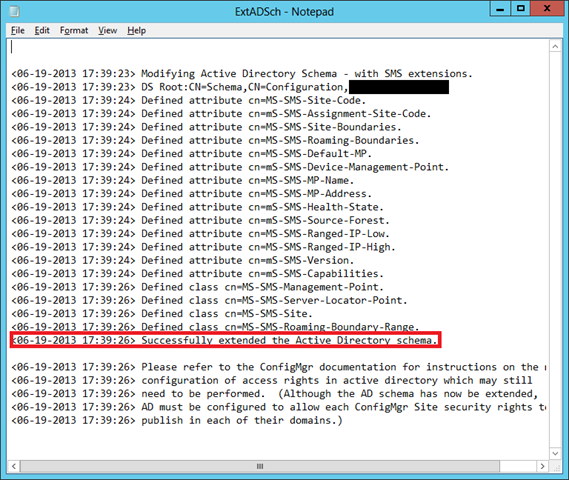 More details you’ll get here. 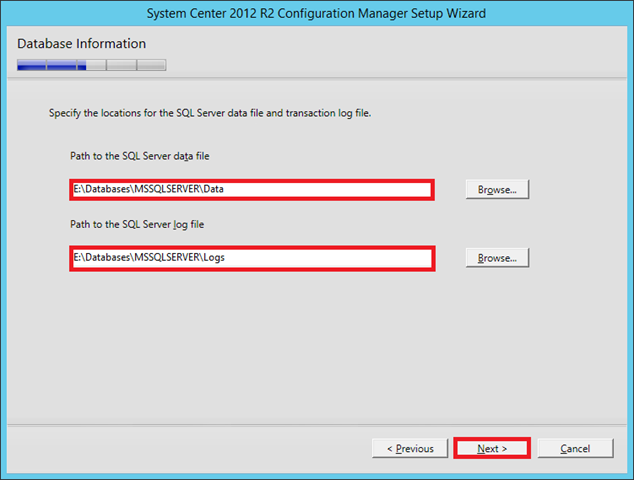 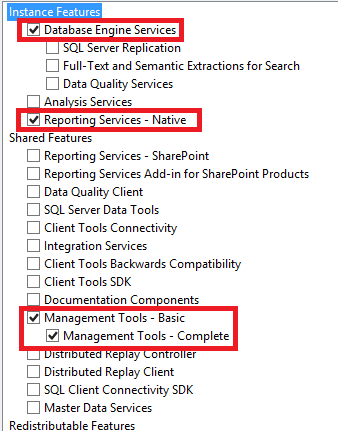 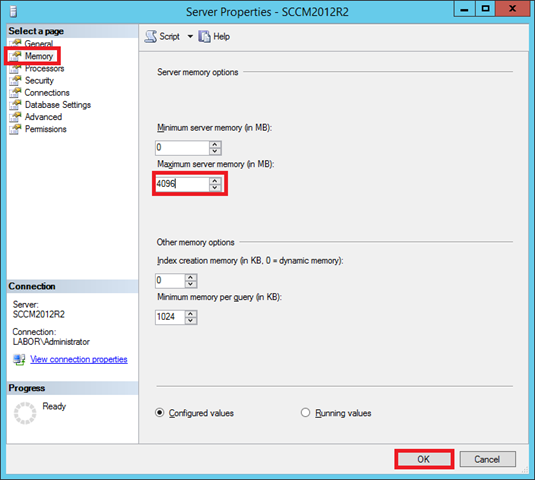 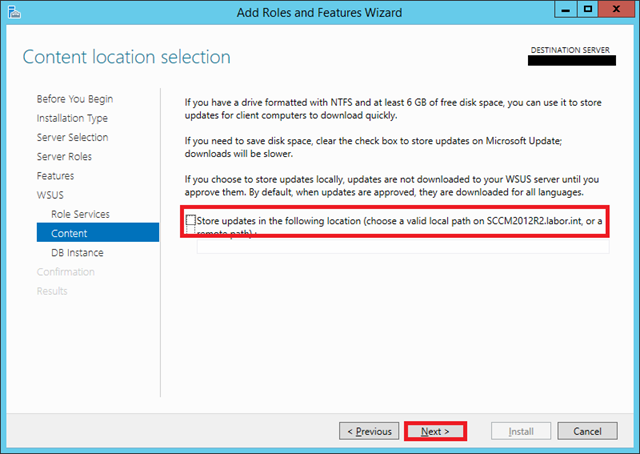 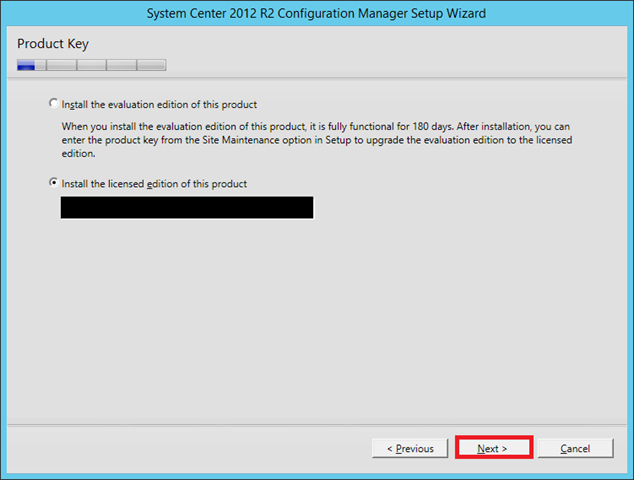 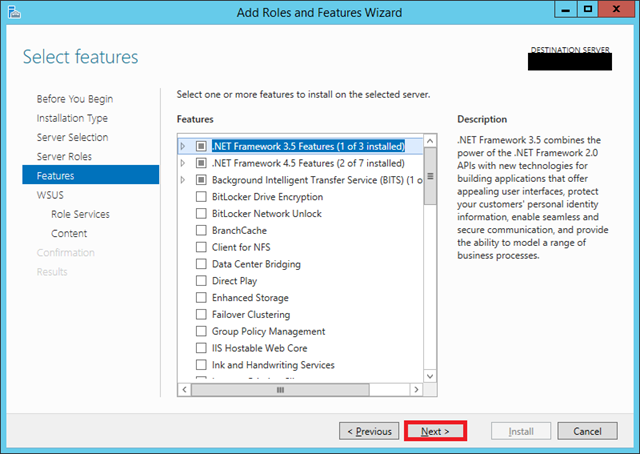 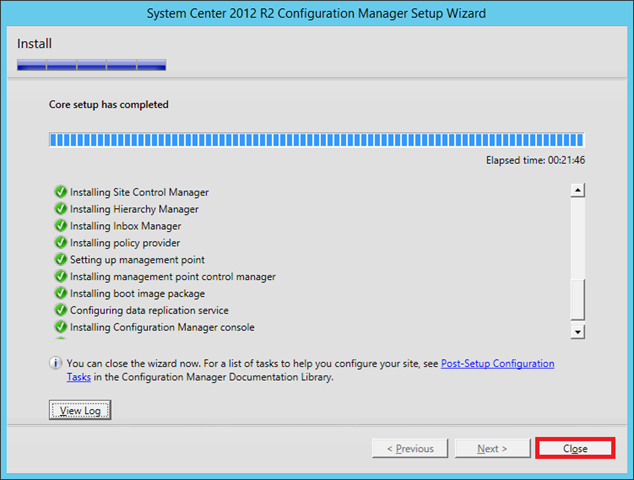 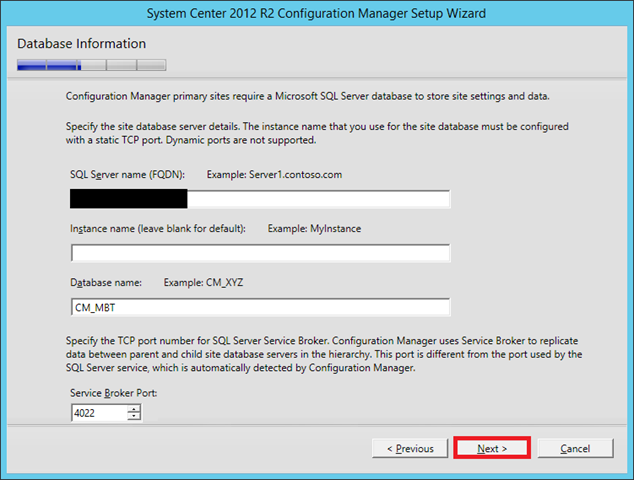 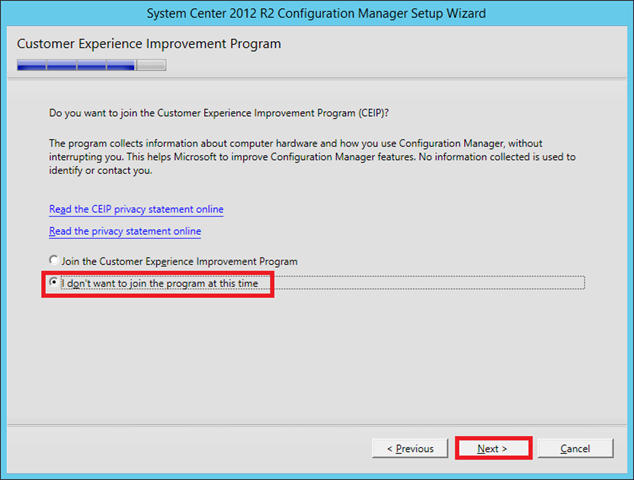 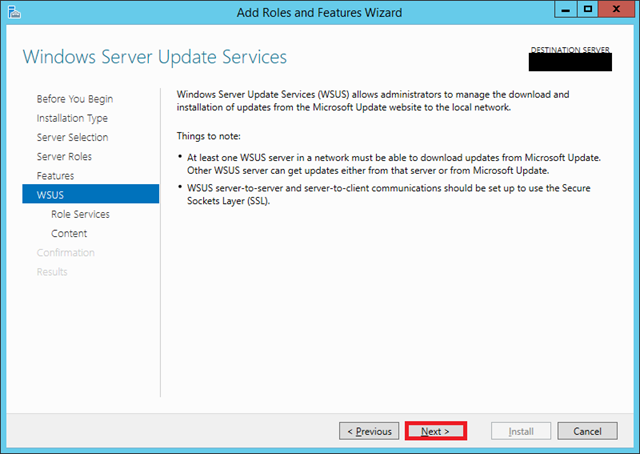 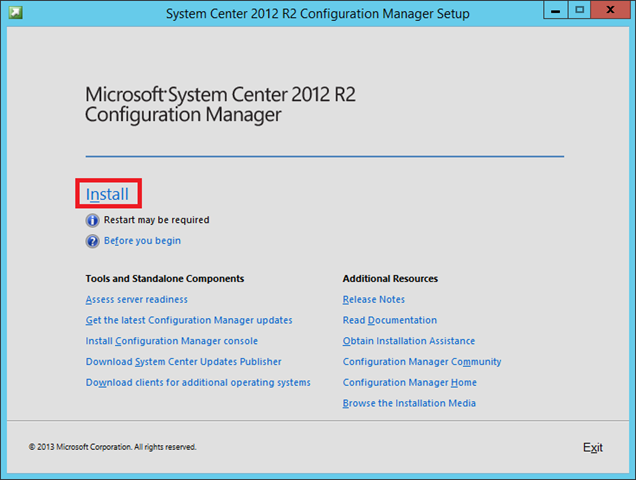 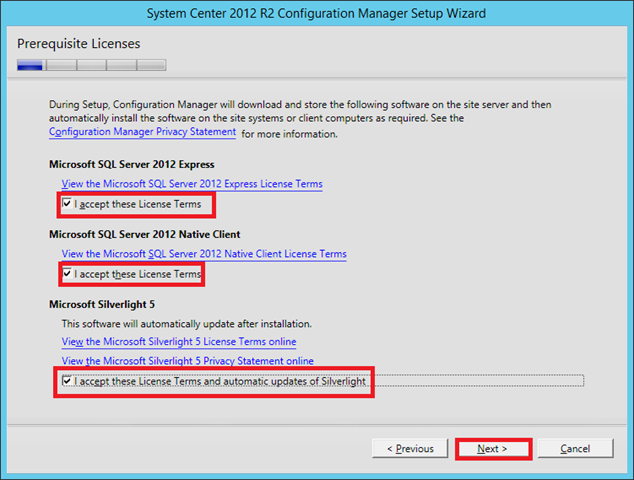 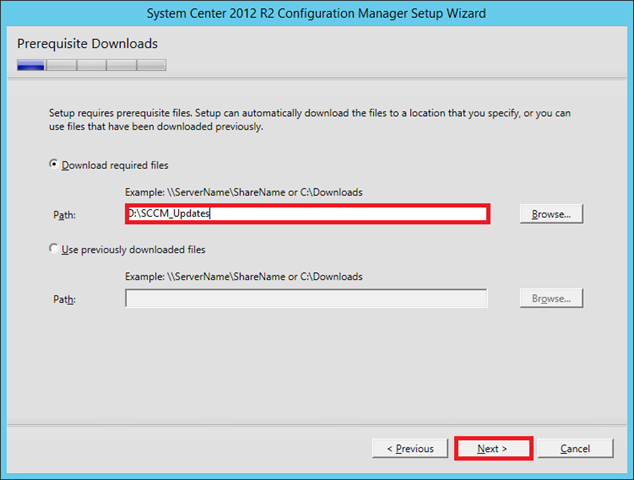 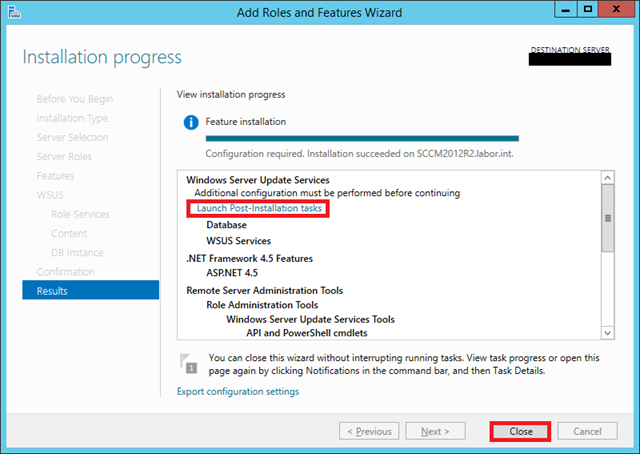 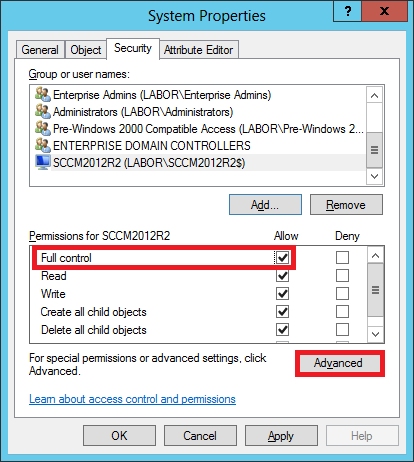 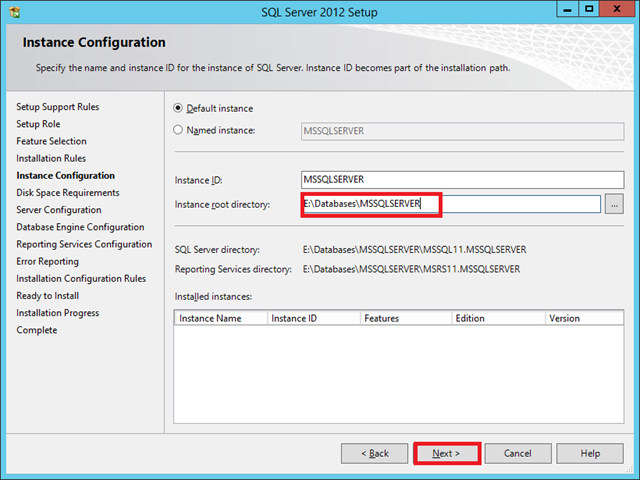 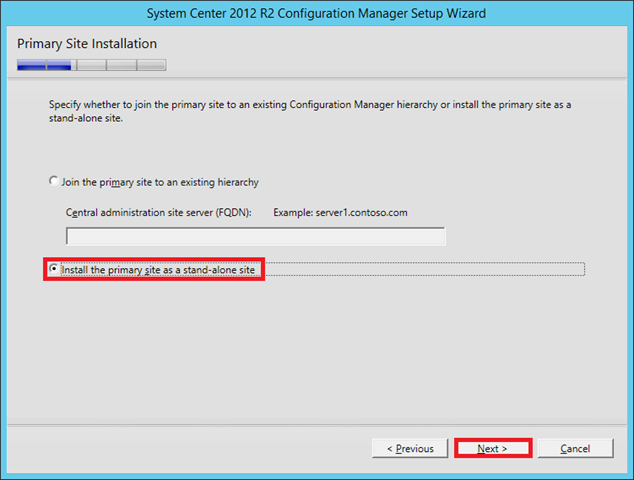 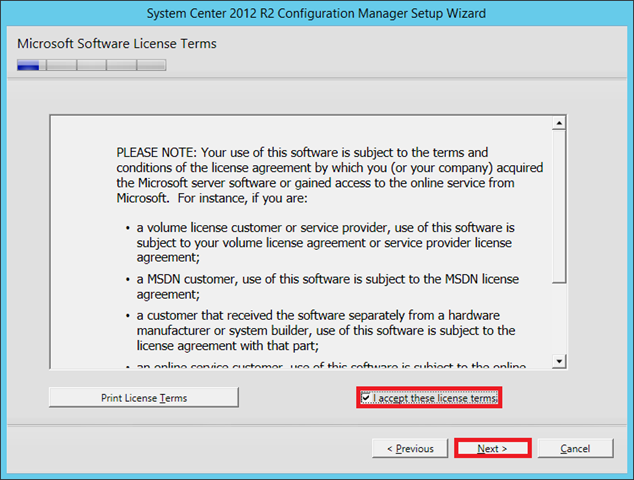 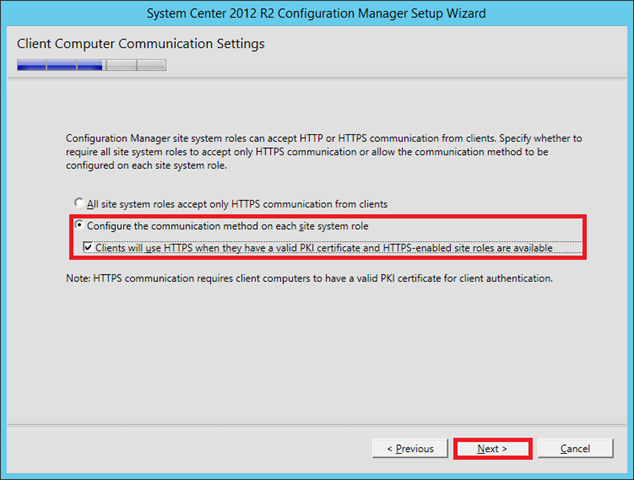 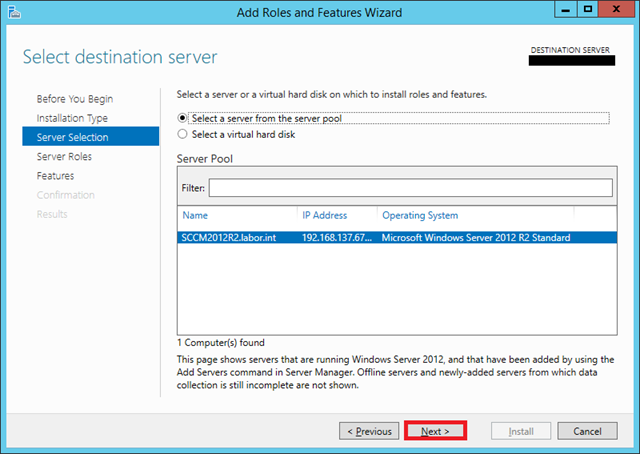 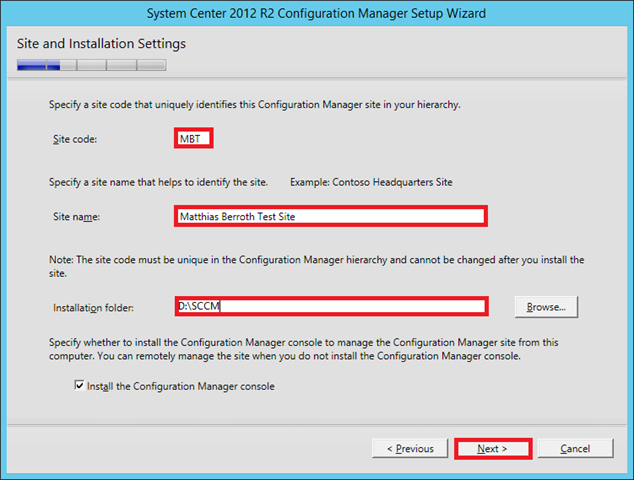 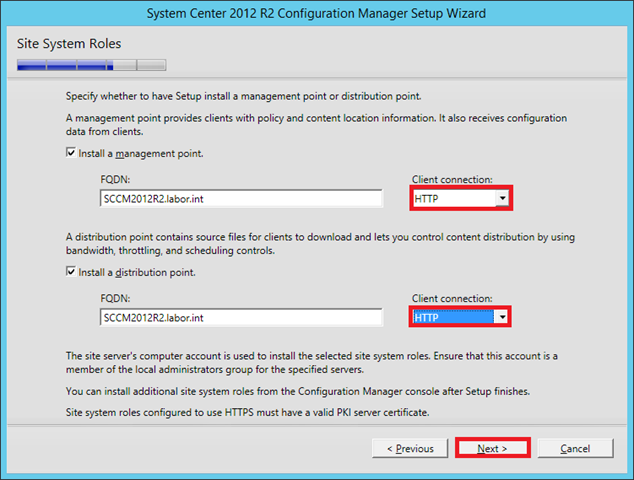 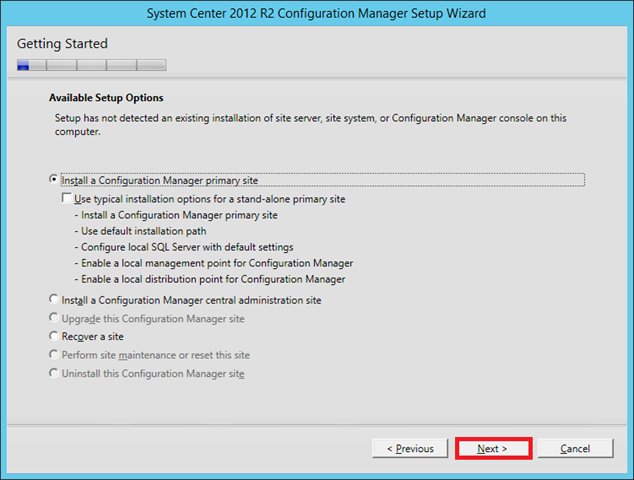 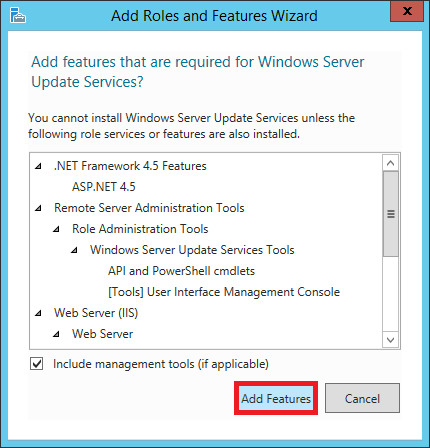 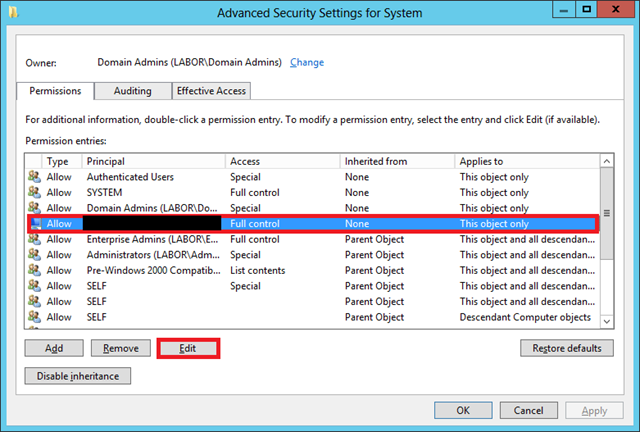 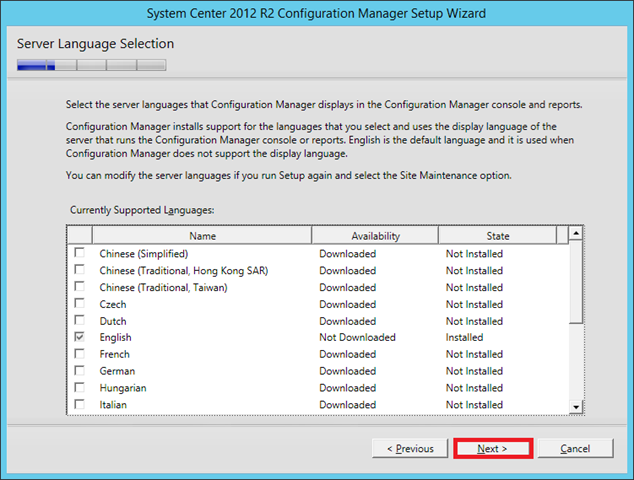 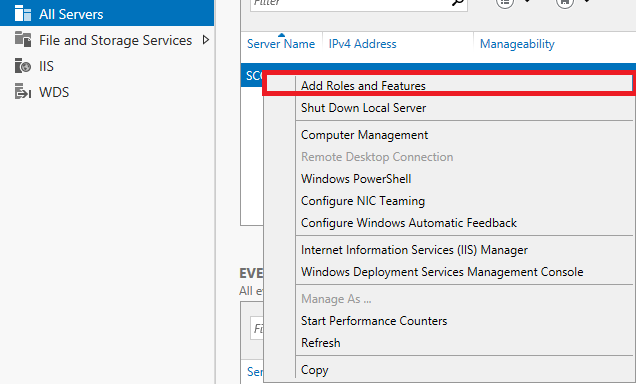 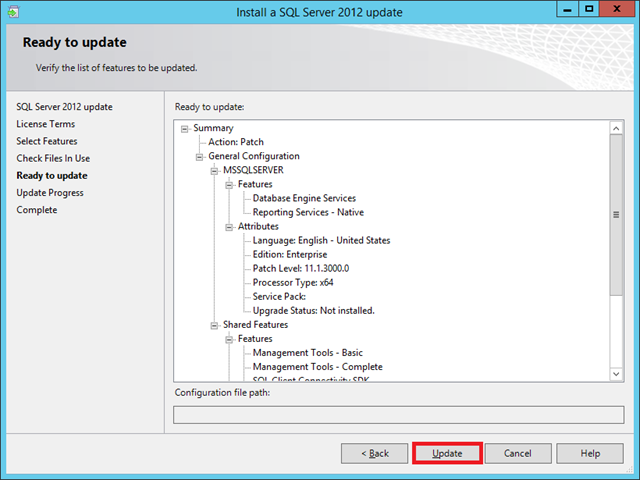 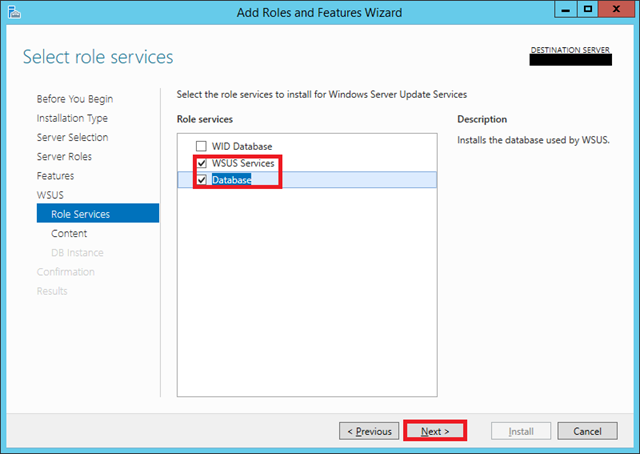 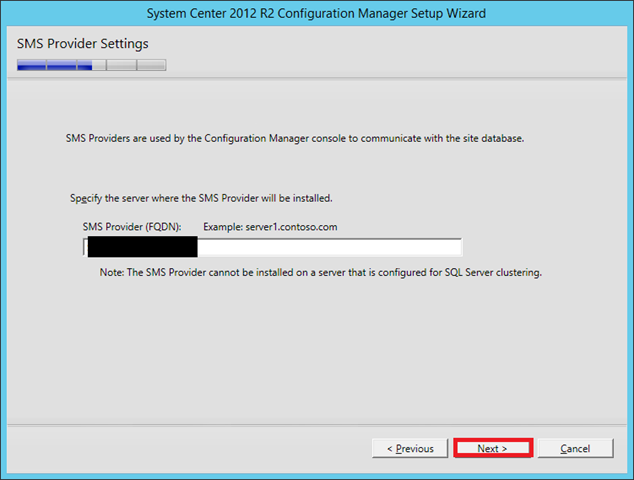 This chapter will show you what you have to do to install the MS SQL Server 2012 and Service Pack 1 for System Center 2012 Configuration Manager R2. 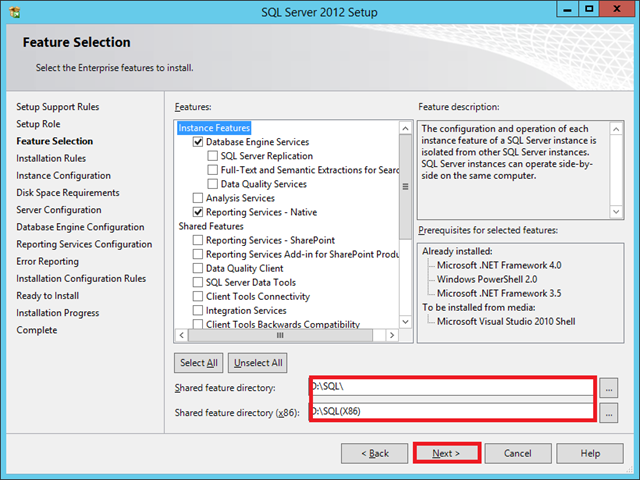 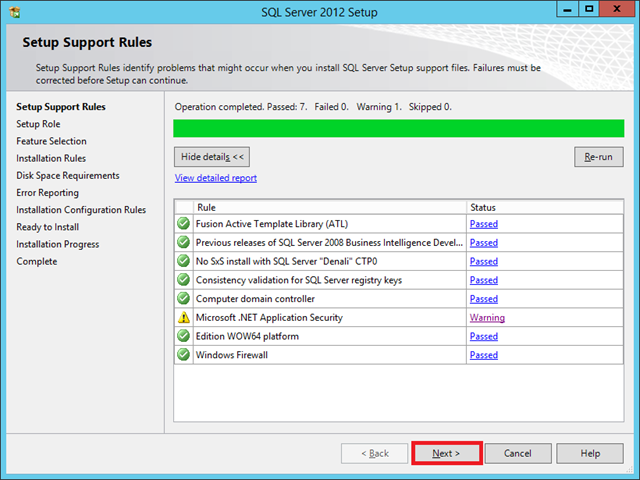 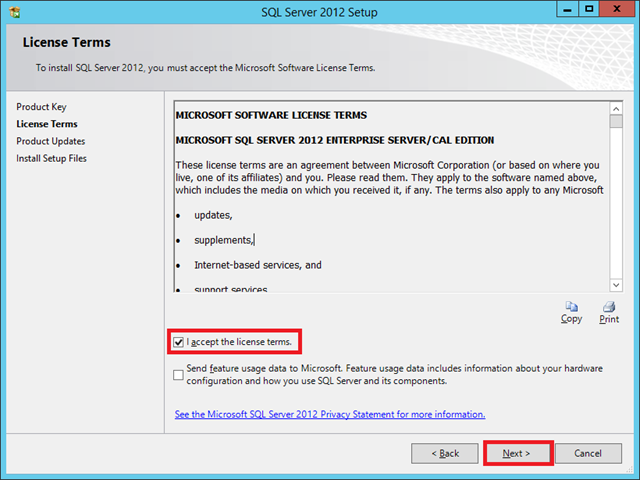 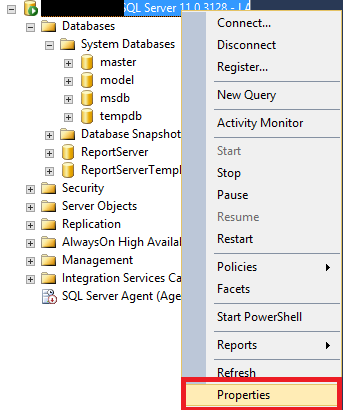 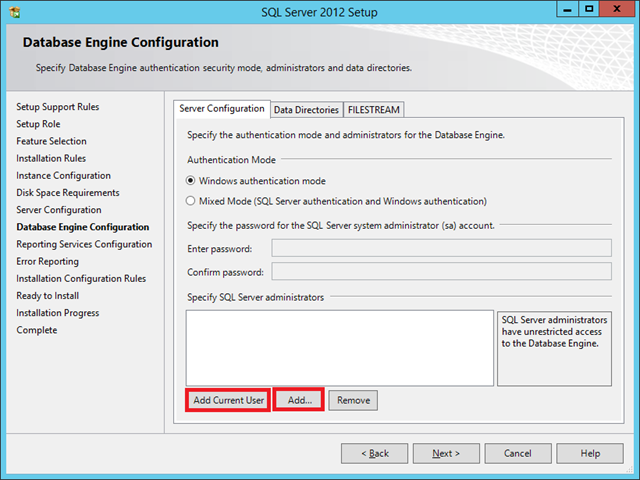 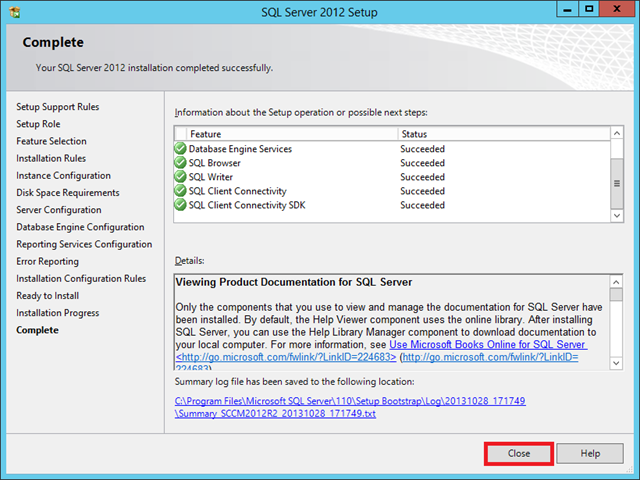 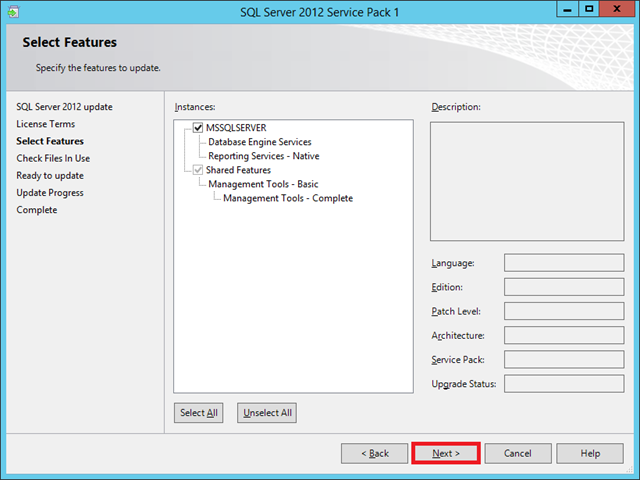 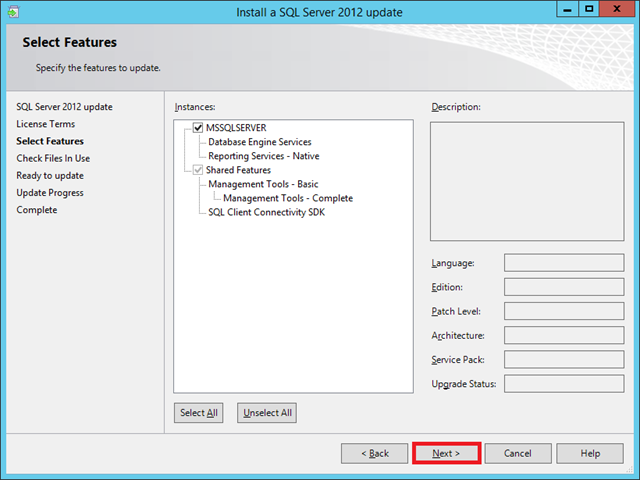 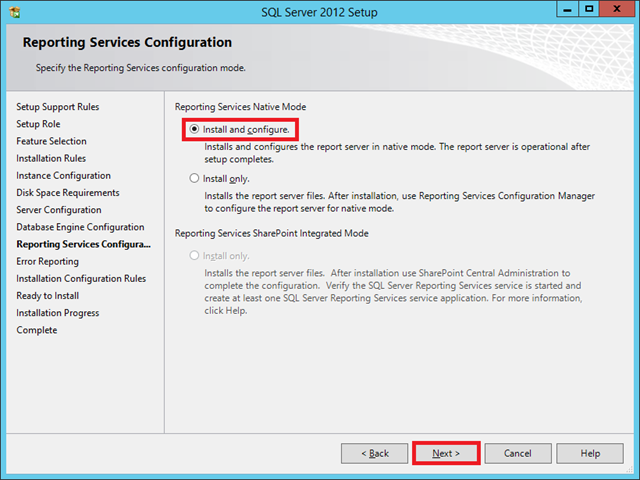 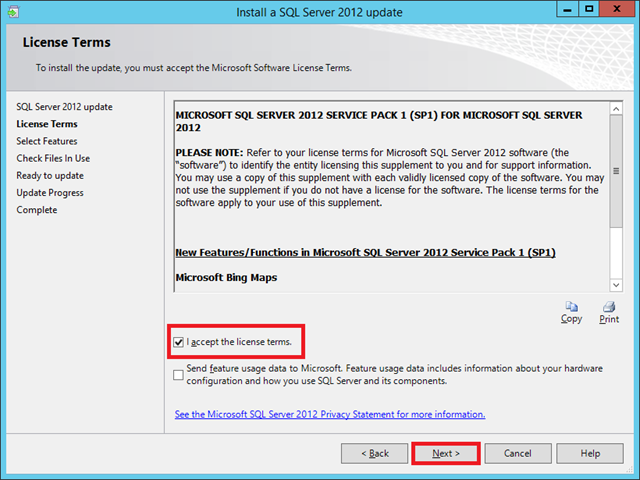 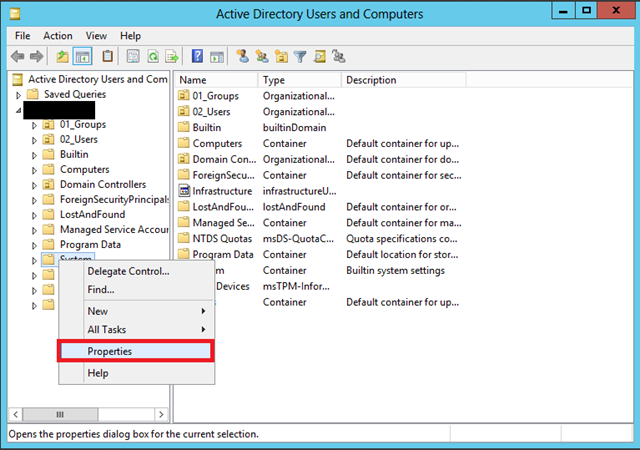 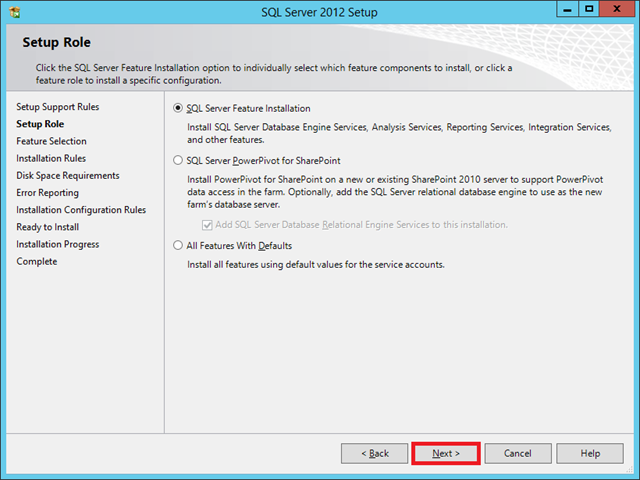 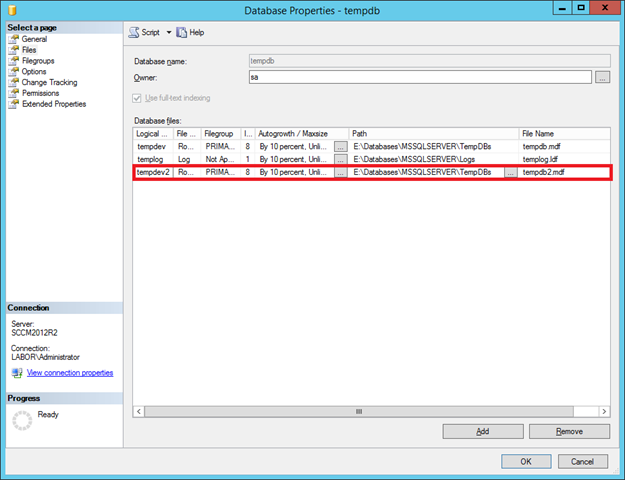 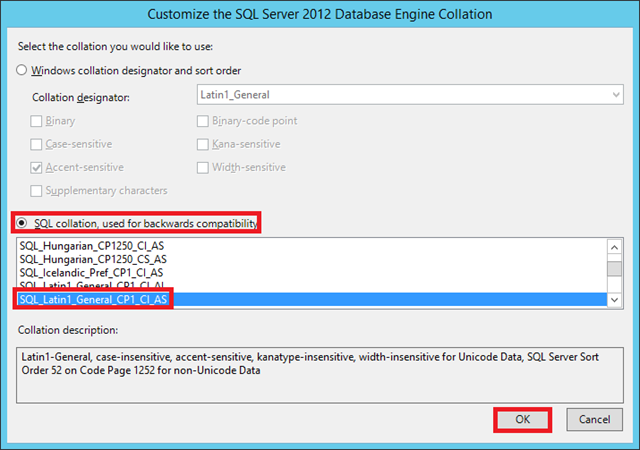 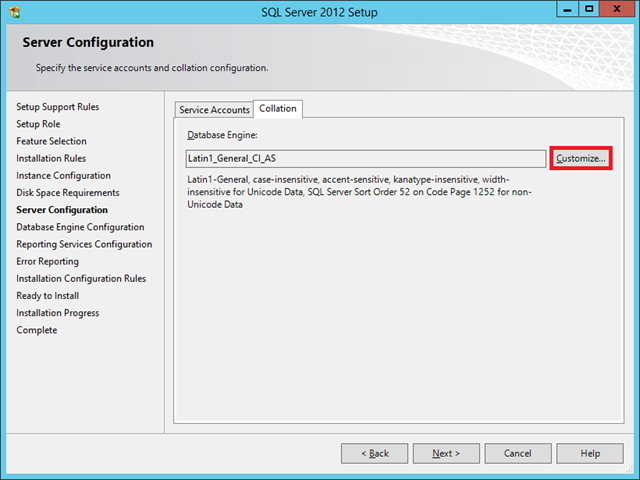 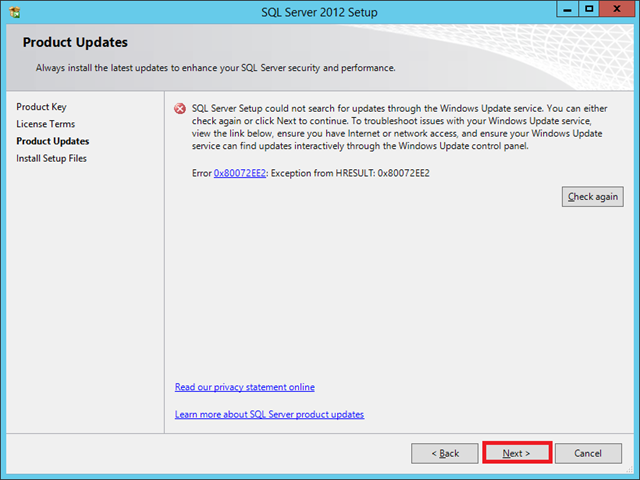 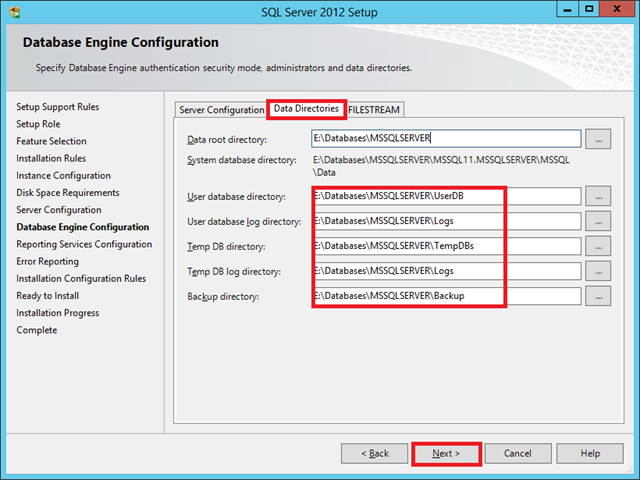 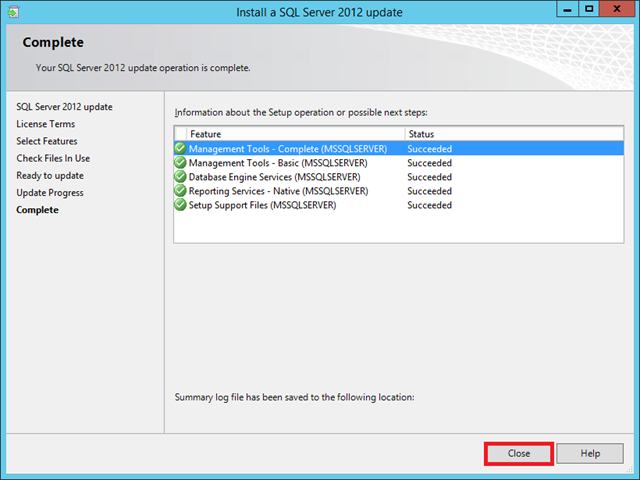 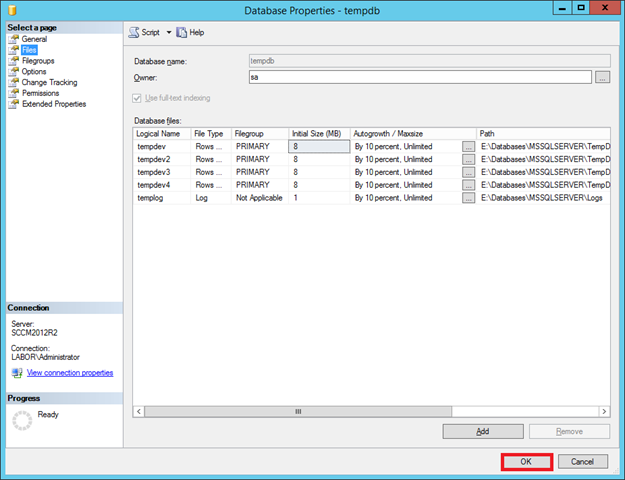 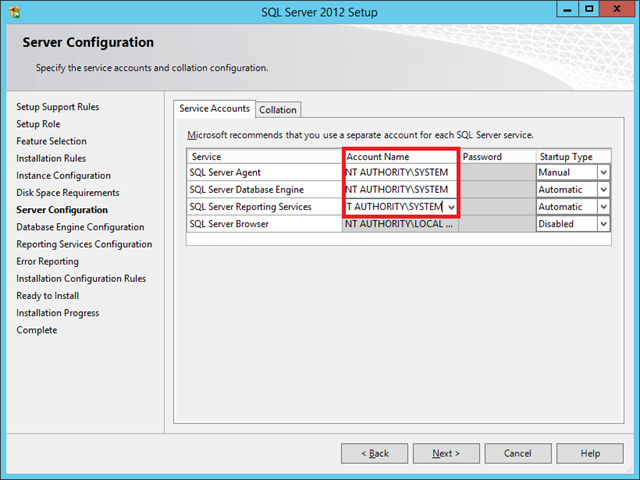 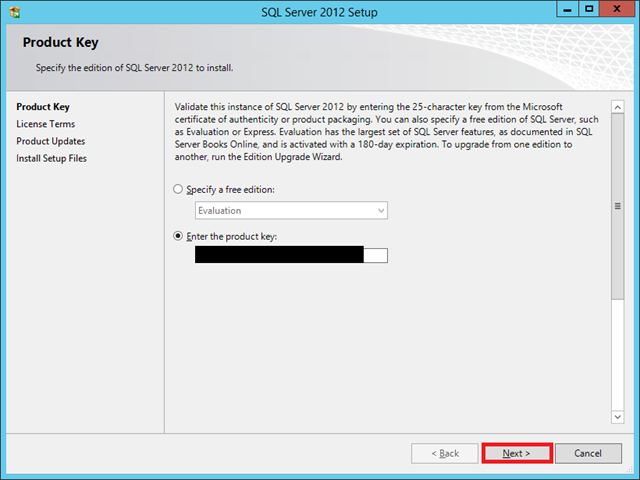 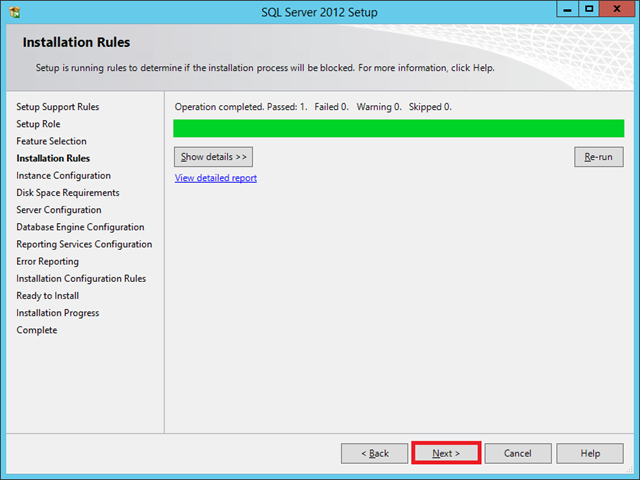 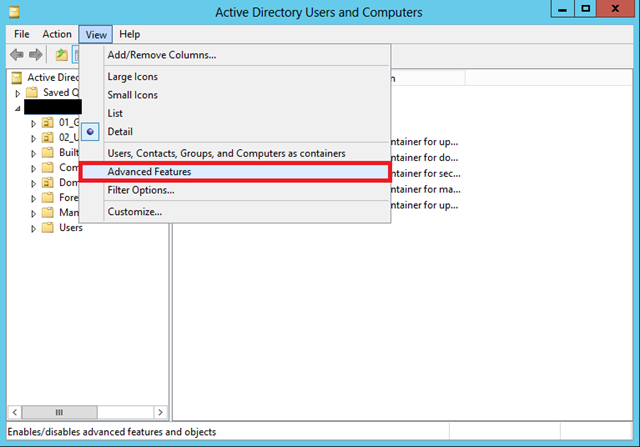 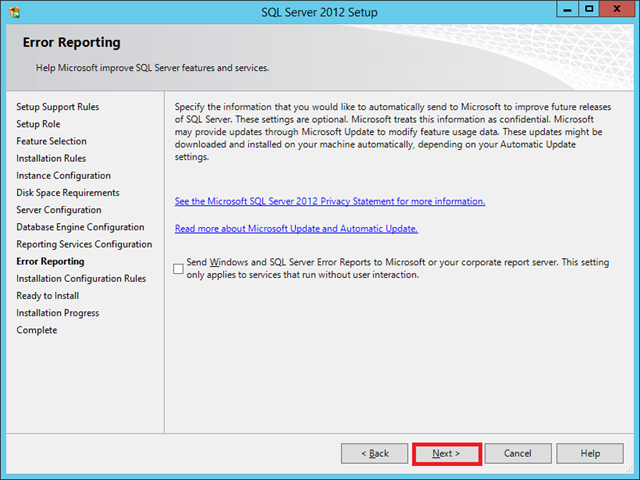 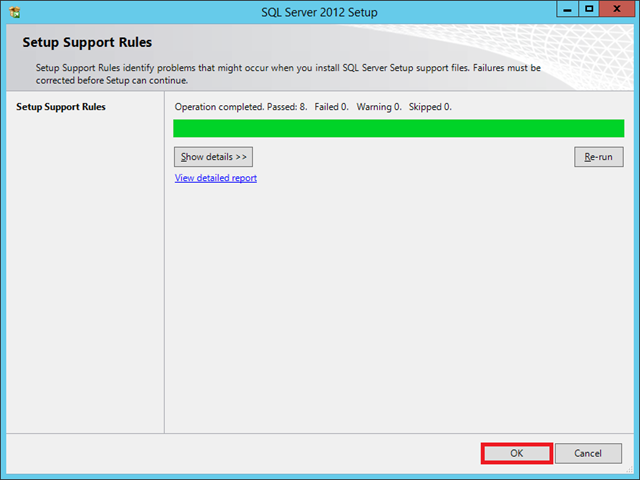 The Service Pack 1 for SQL Server 2012 is available for download here. 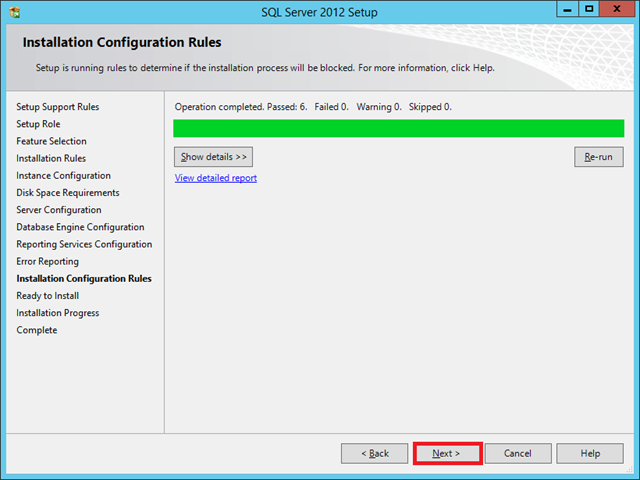 The collation settings have to be SQL_Latin1_General_CP1_CI_AS. 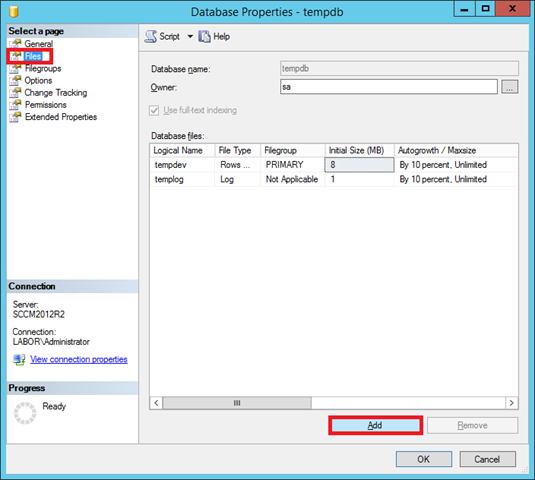 The partition which stores the databases and log files should be formatted with an allocation unit size of 64 kb regarding performance described here. 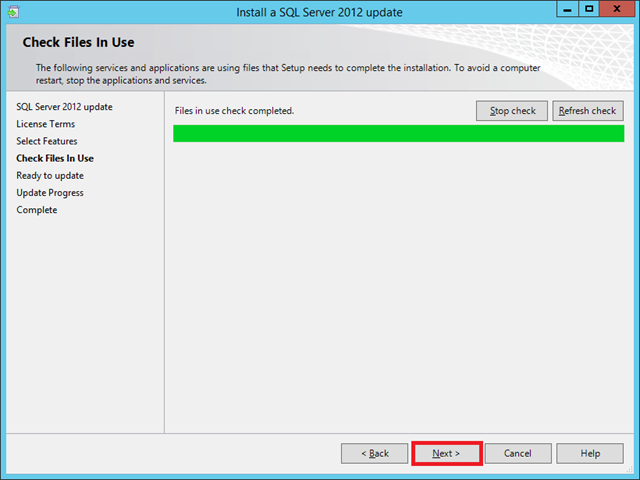 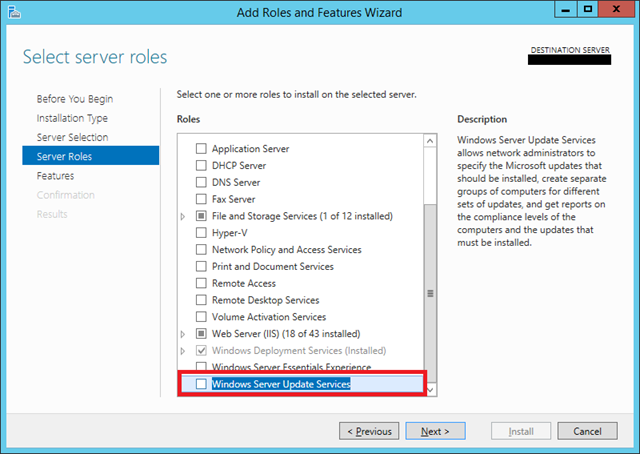 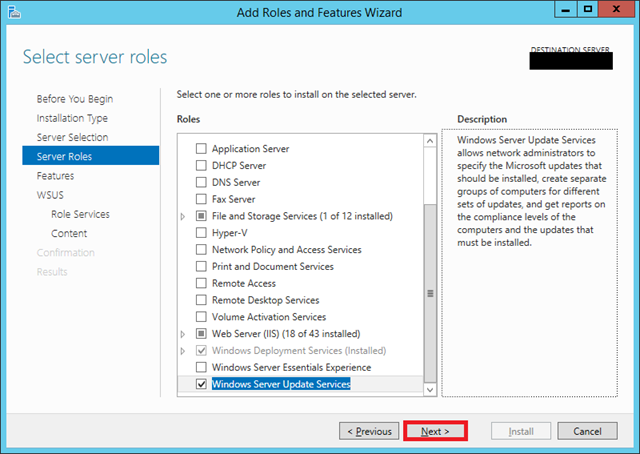 You have to install after Service Pack 1 the hotfix KB2793634 like described here. 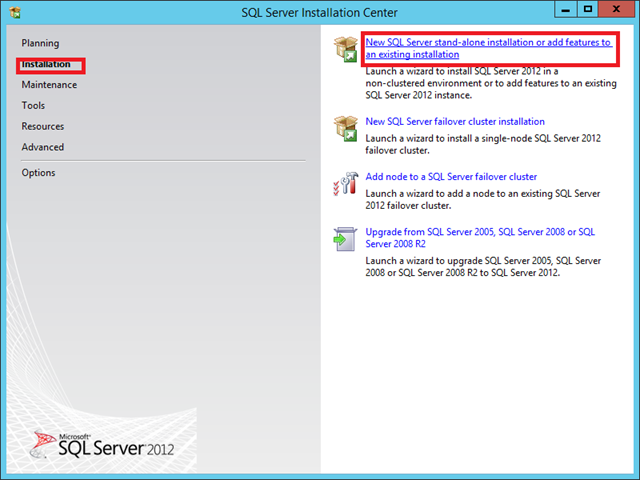 That’s just the installation. 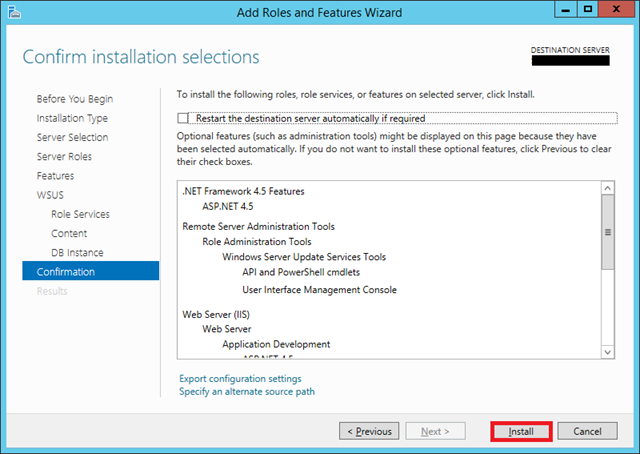 I’m very excited because I guess the installation over PowerShell/Command Line will be more complex than the chapters before. 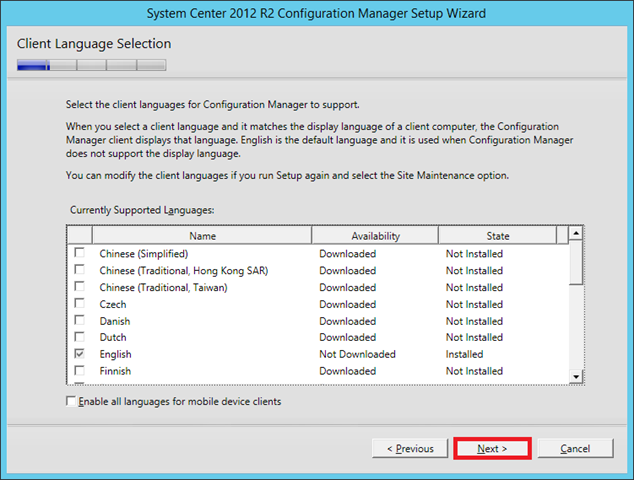 This entry was posted in Uncategorized on October 29, 2013 by matthiasberroth.